On Mar. 30 at 8:30 p.m. the whole world is encouraged to join this year’s Earth Hour and turn off their lights in an effort to raise awareness about climate change—not so much to save energy, if you’re wondering (many households turning off and then turning on their electricity all at the same time, in fact, is more detrimental to climate mitigation). But based on data by our local agencies, there have been actual recorded outcomes from the said activity—though they’re short-term, to say the least. According to the National Grid Corporation of the Philippines, 165 megawatt hours (MW) were saved during Earth Hour 2017. This number is enough to power at least 123,750 homes for a day. In other words, power plants worked less to meet the peak demand of 13,789 MW for that specific day alone. The Department of Energy also revealed that our energy consumption continues to increase year after year. In 2017 alone, the Philippines consumed a total of 94,370 gigawatt hours—four percent higher than 2016’s total electric consumption. To give you a clearer picture, imagine having to light up 9 trillion LED light bulbs at the same time. So if you want to save the planet, think long-term. It’s going to take just one hour for us to totally reduce emissions of power generation, and that starts by simply being mindful of your electricity consumption at home. It doesn’t just reduce your bill (especially this summer when it’s at its peak), it also lessens emissions, however marginal. Here are some tips on how to save electricity at home. Today’s market prides itself with greener technologies and appliance with energy saving capabilities. And while this is generally good, whether they do impact your electric bill is still largely up to you. 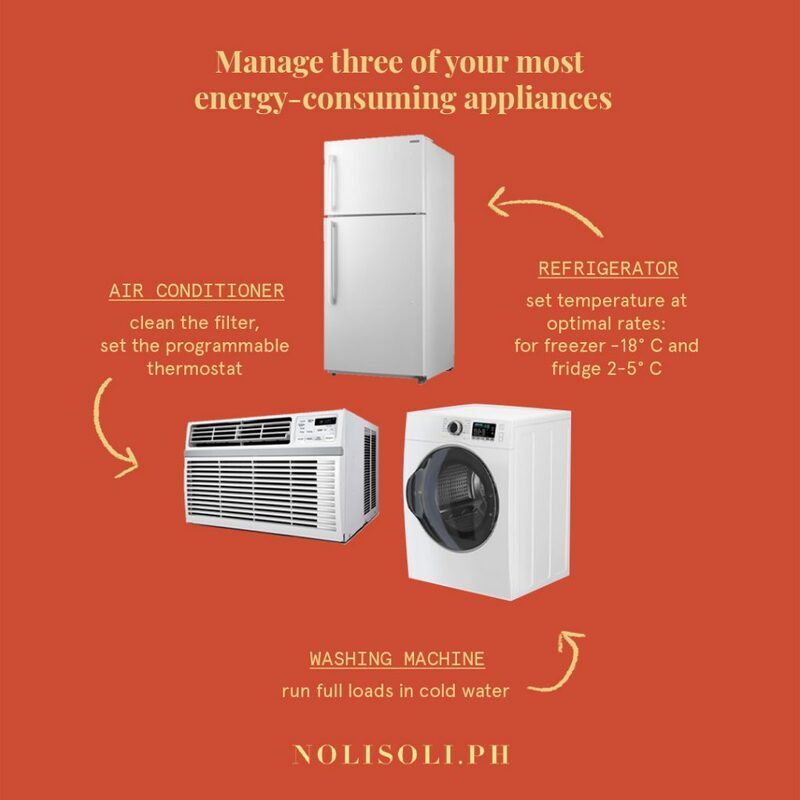 Here’s how to manage specific appliances while still utilizing its purpose. Airconditioner – Prior to blasting it, make sure its filter is clean (and replaced every month or so), the vents and the ducts open and functioning. Instead of immediately firing it up on high coming in, make use of programmable thermostat to set it a constant temperature and gradually lower or higher depending on your need. Washing machine – Use cold water during wash (heating water is costly and not energy efficient), not only does this ease your machine of extra work it is also recommended for clothes. Only run full loads as well once or twice a week instead of loading small batches frequently. And if you could skip the dryer and hang your clothes to dry under direct sunlight (especially this summer), that would be better, too. 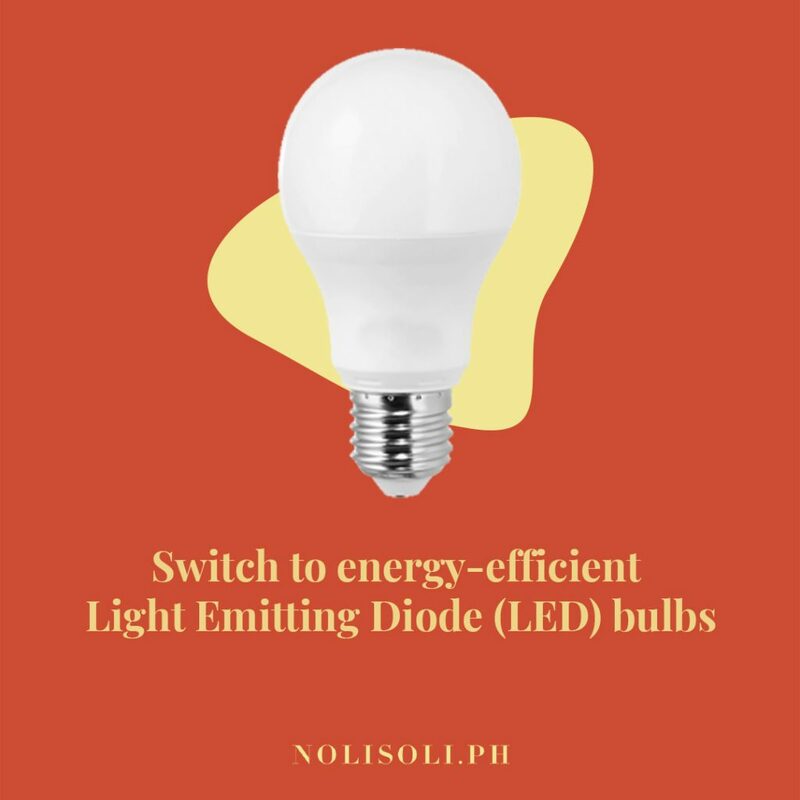 Ditching your ordinary incandescent bulbs to energy efficient models like Light Emitting Diode (LED) bulbs which last longer and require only small amounts of electricity to work. But most importantly, small things to keep in mind like turning them off when not in use or opting for natural light during the day should still be prioritized. Compare electricity consumption, life span, and features of LED and incandescent bulbs here. Many energy saving techniques are basic ones that for some reason we keep neglecting. 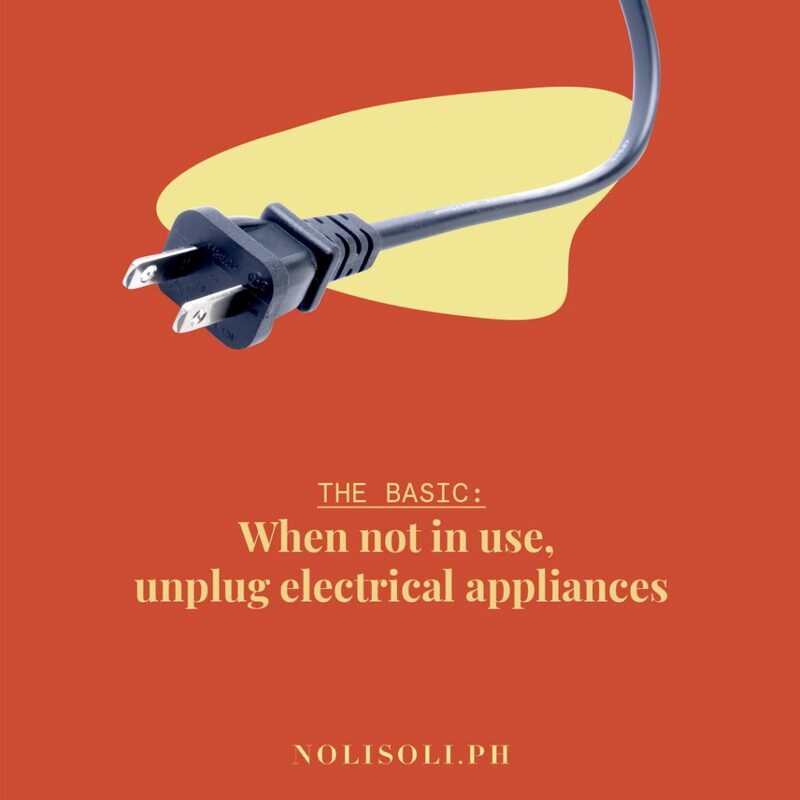 These include unplugging appliances when they’re not in use, using blinds to block out heat (and in turn canceling the need for cooling); and if you’re using an induction stove, turn it off a minute before you’re done and use the residual heat to finish it off.